On Sunday, we headed to the National Trust's Rowallane Garden for their Ghosts & Ghouls weekend. 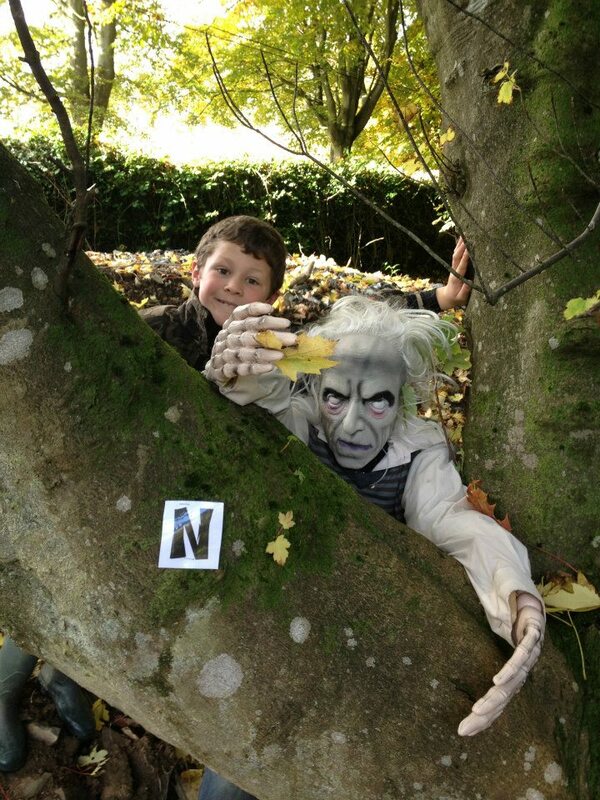 There was loads for the kids to do - pumpkin carving, a ghost trail, petting farm and face painting…a great day out. I wore the trusty Merrell and wellies, skinny jeans by Gok, scarf print top from H&M (last seen here) and cross body bag from Vintage Pintage (seen here). 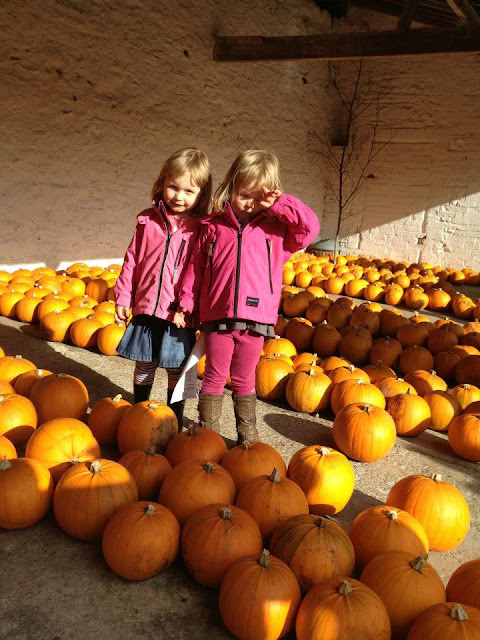 As we were there early, we got some lovely photos of the girls beside all the pumpkins lined up for carving. When we came back after our ghost trail, there were hardly any left! Lovely pics. It's really nice to see your family on the shots. It brings it home that you are a busy mom but still with your finger on the fashion pulse. Can I ask what camera did you get? Your hair looks super cute in the first picture! As does Katie who looks like she has just stolen a baby animal and is hiding it up in coat and hopes you won't notice LOL! I just knew I had seen u at rowallane! You just looked that bit more groomed than the rest of us scruffy mums (well,me anyway!). Sorry to sound like a stalker!! 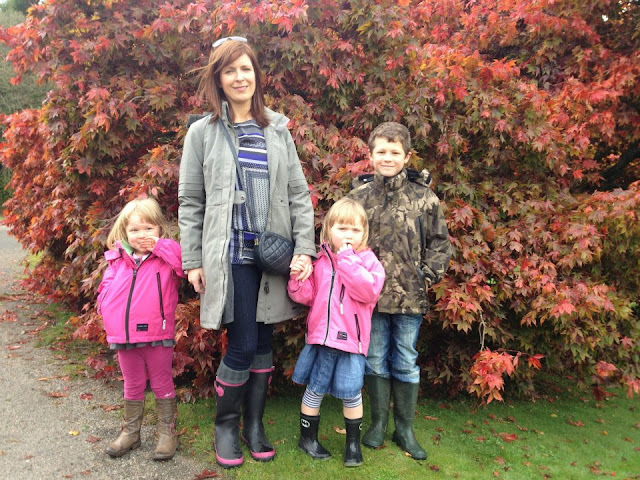 We had great day too, very autumnal! Looks like a great family day out, I never heard of this place before must check it out. Love your wellies btw. Aw my friend & her kids were at this - wish we'd gone as it looks fab - as do you & your cute kiddies! I love your boots, they are so cute. It looks like you guys had such a great time! I think the world and his/her mother were at Rowallane for this...we were there too but later in the afternoon after eating a picnic in the carpark..in the car.. (too cold for outside!) 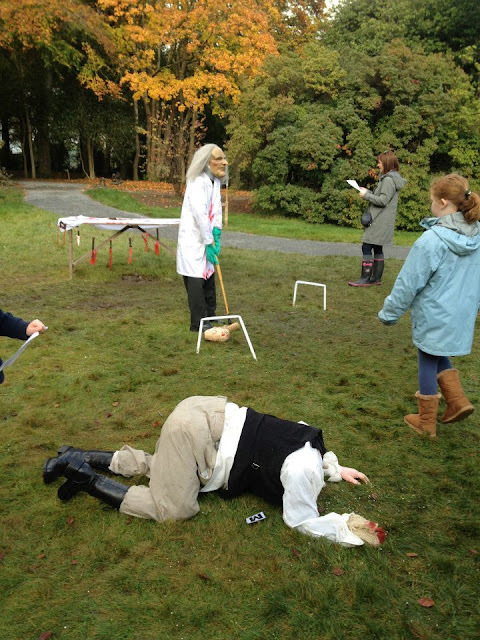 The figures/scenes were wonderful, especially the monster mash. We go there quite often so it was strange to see it so busy.